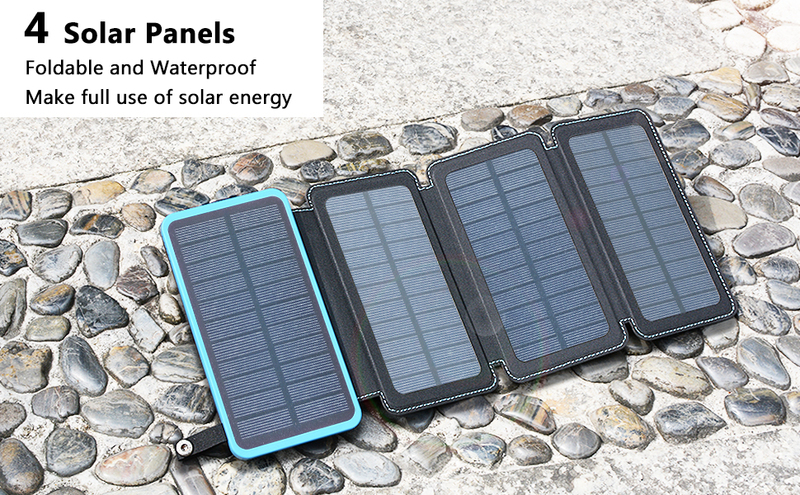 Larger Solar Panels: The solar charger can absorb more sunlight through the 4 solar panels, can be charged 4-5 times faster than other normal charger. It needs about 25-30 hours to be fully charged by solar energy. Multi-Protection: This back up charger provides IC protection for over-charging, over-discharging, over-voltage, over-current and short-circuit. USB ports are protected by silicone cover, makes it rainproof, shockproof and dustproof. Safe guarantee for your devices. 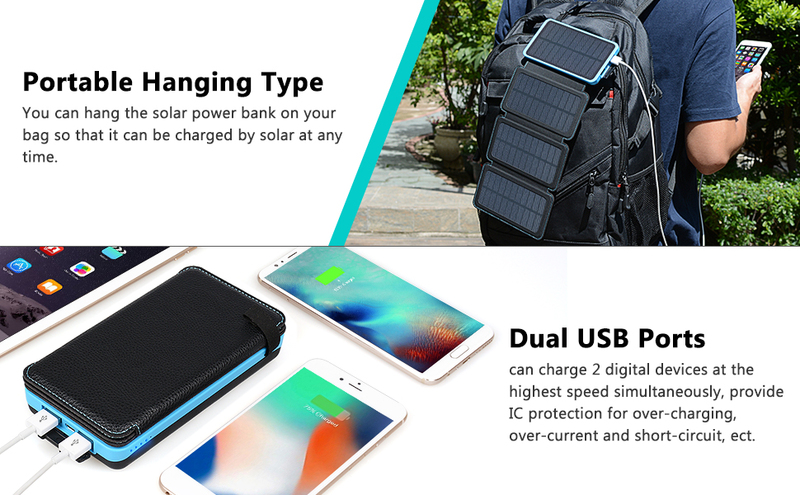 What you get: FEELLE 25000mAh solar charger, Micro USB cable, Instruction manual. We offer 30 days Money back, 18 months warranty, friendly replace policy and customer service. If you have any questions, please contact us in time.